For thousands of years cross-cultural workers have had to cope in their marriages with baggage from the past as well as hurts from the present, and they have had to do so in the context of an unfamiliar culture. As we saw in the introduction, William Carey lived for a dozen years with Dorothy while she was insane, a time of repeated wounds and scabs that never fully healed. Joseph was a Third Culture Kid (TCK) who married a national and spent most of his married life in Egypt, his host country. However he had come from a family which had been dysfunctional for several generations. His father and his grandmother tricked his grandfather into giving his father his uncle’s inheritance (Genesis 27:1-40). His uncle was so angry that he planned to kill his father. Therefore his grandmother sent his father to live with her own brother (Genesis 27:41-45). His father then deceived his mother’s brother (Genesis 31:1-32). His own brothers hated him so much that they wouldn’t even speak nicely to him (Genesis 37:3-4). Later, as a teenager, his brothers kidnapped him and sold him into slavery in Africa (Genesis 37:12-28). Ruth married a TCK who was living in her country. Though we do not know about her family of origin, we do know that she faced difficult situations and tragedy after her first marriage. Within a decade her husband died, as did her brother-in-law (Ruth 1:4-5). Ruth and her sister-in-law then lived with their widowed mother-in-law (Ruth 1:5-7). 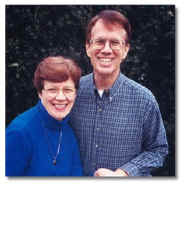 Against her mother-in-law’s wishes, Ruth emigrated to her husband’s passport country (Ruth 1:8-19). There in her own culture Ruth’s mother-in-law became bitter (Ruth 1:20-21). Ruth was so poor that she had to search for food the harvesters missed (Ruth 2:2). When she met an eligible bachelor, Ruth did not know the culturally appropriate action to take (Ruth 2-4). Both Joseph and Ruth had very difficult times in their lives resulting in psychological wounds, scabs, and scars. In spite of these, their marriages in their host countries flourished, and their lives were filled with success. Joseph became second in command in his host country, and in hers Ruth became great-grandmother to a king. Now let us consider wounds, scabs and scars—and how to overcome them. Open physical wounds are obvious because of the break in the skin and the bleeding. Likewise, some psychological wounds such as living under a death threat, being held hostage, or grieving over death of a loved one are obvious. Like people with open wounds that receive immediate attention to prevent loss of blood and infection, so do spouses with obvious psychological wounds receive comfort, reassurance, and a chance to talk. Closed physical wounds showing only a bruise may go unnoticed and untreated. Likewise, some psychological wounds such as being betrayed, ignored, lied about, or ridiculed may not receive needed attention. Spouses who are not open with each other about such things may not receive the comfort, reassurance, or a chance to discuss their wounds so that the underlying “damage” may turn into bitterness. Ideally, people with wounds will be discovered in the selection process and asked to remain in their passport cultures until the wounds are healed. Of course, people may be wounded after entering their host culture and need attention too. Immediately after a physical injury platelets in the blood form a plug in the wound. Then coagulation factors form fibrin strands to strengthen the platelet plug. This scab needs to remain in place for days or weeks for maximum healing to take place. If the scab is dislodged by being hit or if the person picks at it repeatedly, new scabs have to be formed, delaying healing. Likewise, individuals with psychological wounds may try to use various defenses ranging from denial to spiritualizing the event to “plug” the emotion. Spouses and colleagues need to be available to help the wounded person “process” the events to bring about healing. It takes time to drain the emotion and put the event into perspective in one’s life. During this time the “scabs” may be rather unattractive, and people may start picking at them, causing delay in healing. Sometimes people with psychological scabs may be allowed to serve in other cultures too soon, and the scabs are disturbed. Spouses must remember that healing takes time, and attempts to remove those unattractive scabs may delay healing. Physical scars are the areas of fibrous tissue that replace normal skin. Except for small punctures every wound leaves some scarring. This scar tissue is not identical with the skin it replaces. For example, it is less resistant to the ultraviolet rays in sunlight, and it has no hair or sweat glands. However, it still functions quite well under normal circumstances. Just as we all have some physical scars, so we all have some psychological scars. We have all experienced psychological wounds of some kind so we have the scars left from those. Like physical scars, these scars leave us vulnerable to further hurt. For example, people who have been ridiculed for some physical characteristic may believe they are unattractive and find it difficult to accept genuine compliments from their spouses. People who have been sexually molested as children may be unable to respond sexually to their spouses after marriage. Scars on the skin may function well under normal circumstances indoors, but not do well in prolonged sunlight outside. Likewise, people who have emotional scars may be able to function well in their passport cultures, but not well in host cultures. Spouses need to be aware of these limitations. Psychological wounds may occur during childhood and the teen years long before marriage. Joseph was there when his father deceived his grandfather and may have heard grandpa say, “Why did you run off secretly and deceive me?” (Genesis 31:27). He watched as his father bowed down seven times in fear (because of his theft) before his uncle (Genesis 33:3). He personally saw the favoritism in his family and experienced the hatred of his brothers as a teenager (Genesis 37). These wounds may occur after marriage when relationships sour. Joseph’s Aunt Leah experienced these wounds over and over. Her husband did not love her even though she repeatedly attempted to win his love. When she had a son, in misery she said, “Surely my husband will love me now” (Genesis 29:32). After her second son, she said, “Because the Lord heard I am not loved, he gave me this one too” (Genesis 29:33). After her third son, she said, “Now at last my husband will become attached to me” (Genesis 29:34). She even said to her sister, “Wasn’t it enough that you took away my husband?” (Genesis 30:15). Wounds can come at any time in one’s life and from anyone in one’s life. Some wounds develop scabs and heal into scars. Others remain open for years or heal part way and then are opened again year after year as was the case with William Carey living with Dorothy’s mental illness. Joseph and Ruth were able to live full lives even though they had major wounds, scabs, and scars. Consider these factors. Forgiveness. They forgave people who wounded them. Even though his brothers hated him, kidnapped him, considered killing him, and sold him into slavery, Joseph did not hold a grudge against them. Though they had never apologized and lied to him even after their father died, he spoke kindly, reassured them, told them not to be afraid—then he provided for them and their children (Genesis 50:15-19). Time. Physical healing takes time, often months or years, for major wounds. Psychological healing also takes time. Notice that the first time his brothers came to him in Egypt Joseph pretended to be a stranger and spoke harshly to them (Genesis 42:7). The second time they came, he told them who he was and not to be distressed or angry with themselves (Genesis 45:5). This was 22 years after they had sold him into slavery. Healing takes time, sometimes many years. Memories. You will probably always have memories of the wound, but God can remove the negative emotions that came with the wound. He can help you place the scars in a different perspective. Joseph told his brothers, “You intended to harm me, but God intended it for good…” (Genesis 50:20). He clearly remembered what happened and why they did it, but he now saw it from God’s perspective. Sometimes God helps you directly to see things differently. At other times you may need others to help you develop that perspective, possibly through healing of those memories. God may use others to accomplish what he wants in your life. For example, when Jesus came to Lazarus’ tomb, he asked the people there to remove the stone covering the door. After he brought Lazarus back to life and Lazarus came out with his hands and feet wrapped with strips of linen, Jesus told them to unwrap him and let him loose (John 11:38-44). Did this mean that Jesus could not have removed the stone or the linen? Of course not! He chose to have people be part of that miracle. Even with his major wounds with Dorothy, William Carey was able to have a fulfilling second marriage with Charlotte.